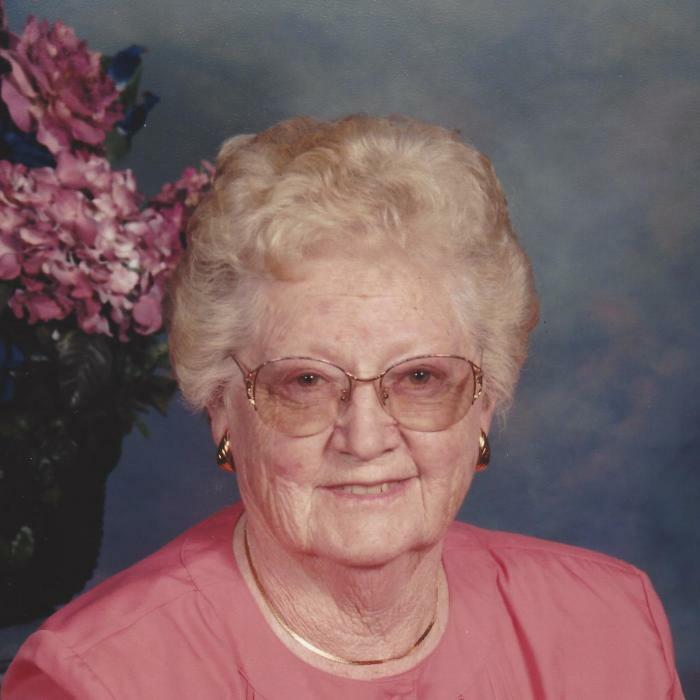 LaVern C. Smith, 98 of Valley Road New Paris passed away at 3:00AM on August 27, 2018 at the Meadow View Nursing Center in Berlin. She was born on Sept 2, 1919 in Napier Township and the daughter of Russell and Elsie (Leppert) Crissey. Preceded in death by her parents, sister Jeanette and husband, Warren G. Smith whom she married on June 8, 1940 until his death on September 19, 1993. LaVern is survived by son, Robert G. Smith, husband of Sandra (Diehl) of Schellsburg. Son, Willian Smith, husband of Marlene (Sheirer), Bedford. Brother-in-law, husband of the late Jeanette Ferguson, Clark. Seven grandchildren, ten great-grandchildren, and a number of nieces and nephews. LaVern was a graduate of New Paris High School class of 1937. She worked a number of different jobs unitl 1955 when she completed beauty school at Hannond's in Johnstown, PA.
Then she became the owner of Lavern's Beauty Shop in her home till 1966 she built a shop next door and operating it till 1979. She volunteered for many years at the American Cancer Society, which she also served as a board member. She enjoyed traveling and spending time with her family and friends. LaVern was member of Chestnut Ridge Independent Fellowship in Fishertown. A funeral service will be held at Mickle-Geisel Funeral Home, Schellsburg at 11:00 AM on Thursday, Aug 30, 2018 with Pastor Paul Snyder officiating. Interment will be held at Fishertown Cemetery. Friends are invited to call on Wednesday from 6 -8 PM at the funeral home in Schellsburg. Memorial contributions may be made to Alzheimer Disease Research 22512 Gateway Center Drive Clarksburg, MD 20871 or American Cancer Society 1004 N. Juniata Street Holidaysburg, PA 16648. Online condolences may be expressed at www.geiselfuneral.com.